Apricots vary in color and size depending on the variety.They usually have a yellow and juicy pulp and a velvety skin. In Europe, apricots are mainly cropped from the beginning of spring until the end of summer.They provide anti-oxidants, Pro vitamin A, Vitamin C and minerals such as potassium, calcium and magnesium. They also contain lots of vegetal fibers. 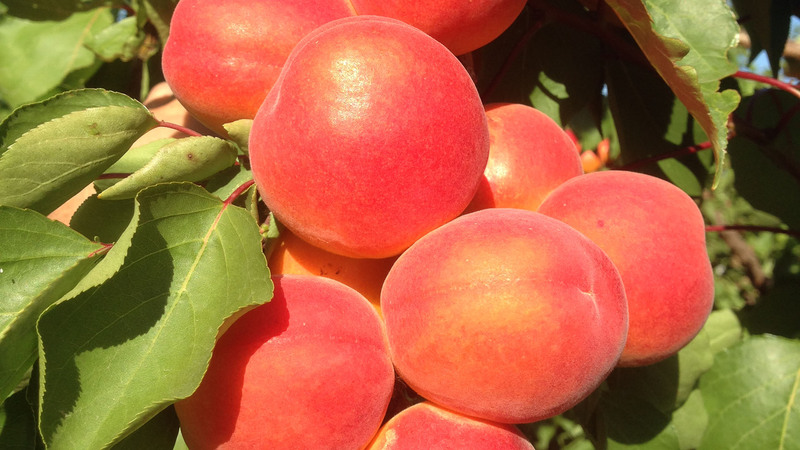 Our bicolor apricotsvarieties are: Mikado, Colorado, Rambo, Kosmos, Mambo, Domino, Pacha, Floneca, Flopria, Flamengo, Tibor, Lido, Kalao. Our range Red Buffalo® offers late season apricots: Aristo, Oscar, Milord, Nelson, Memphis, Madrigal, Brutus, Metropolis, Placido, Semiramis and Agostino. The Red Premium® range offers varieties of red skinned apricot: Totem, Fuego, Cheyenne, Cirano, Cesar and Bolero.